After President Obama announced the death of Osama Bin Laden, the exact location of its 1 million dollars compound was showed in Google Maps. The September 11 mastermind was hiding out in a mansion in Abbottabad, Pakistan, about 80 miles north of Islamabad. 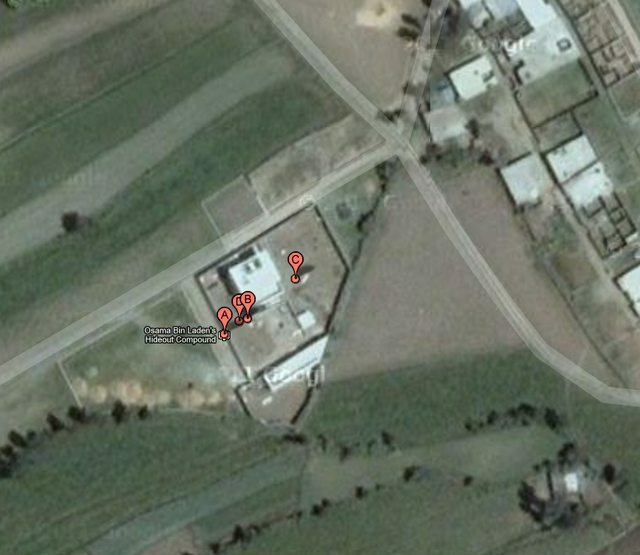 Bin Laden’s compound is just north, of a hospital for women and children and a cinema. About 800 feet to the west is the Cantt Police Station. 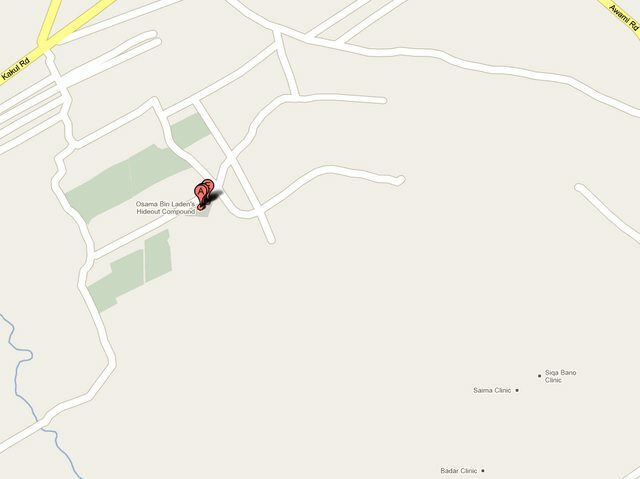 This location is incorrect, as is the Google Maps link. Thanks charlesbronson, we have corrected the Google Maps’ link and the screenshots.